Weekday Special! A 4-Star Event Item in Doggie Chance! An Endless Cave Recommended item is guaranteed in Doggie Chance!! 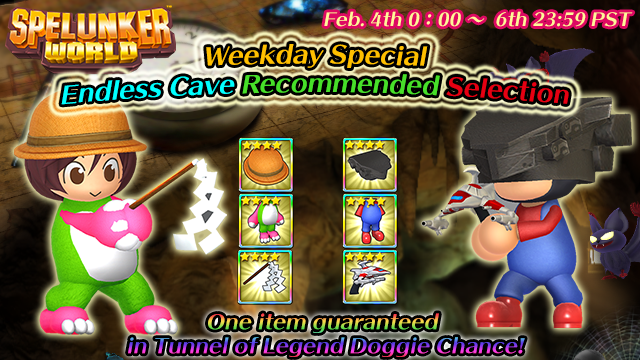 A 4-Star item from Endless Cave Recommended Selection is guaranteed in Doggie Chance at Doggie Digging Tunnel of Legend!